Home / Commercial roofing / Repair or Roof Replacement – How to Choose? Whether you have active leaks or there are visible signs of damage or decay to your roof, you now find yourself faced with the choice between repairing or replacing your roof. Obviously, your roof is an important structural feature of your home – it provides shelter from weather, protects your family and belongings, and also provides important structural support to your home. So then, how do you decide between repairing and replacing your roof? Let’s look at each of these options separately so that you can collaborate with your roofer in making the best decision for your home and your family. Roof repairs are most often recommended for a roof that is within its warranty period. Especially if you have recently replaced your roof, repairs are typically sufficient for maintaining your roof. Considering even the newest roof can sustain damage due to inclement weather such as ice and wind, you should not be surprised if your roof is requiring maintenance. That being said, even older roofs may be effectively maintained with repairs for minor leaks or damage. So what do you need to know when deciding to get roof repairs rather than a replacement? First, a small leak on any roof will likely require repairs only, particularly if your roofer has determined that the roof is structurally sound except for the area that is leaking. Instead of removing your roof, minor leaks can be sealed without risking other components of the roof. Similarly, if damage results from an isolated incident such as wind damage, falling debris, or similar events, repairing the damaged area is usually sufficient. 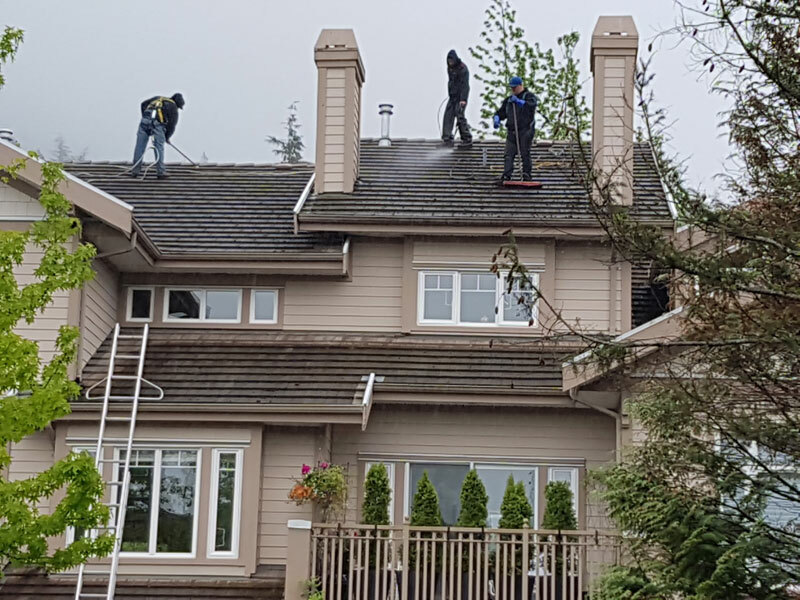 Even if a moderately large area of your roof is damaged, experienced roofers can typically patch the area and replace only those elements of the roof that have sustained damage. Ultimately, your roofer will inspect your roof for quality and durability and can help you decide if repairs will suffice. Identifying more significant roofing problems is not always easy for the untrained eye; however, signs such as curling shingle edges, cracked shingles, or missing shingles are early warning signs that your roof may need roof replacement. As mentioned earlier, the warranty on your roof is another factor to consider – if you know you’re coming up to the end of the warranty, or your roof is between 15 and 25 years old, it wouldn’t be unheard of to require replacement; especially for roofs that are located in areas that experience harsh weather. Exposure to wind, ice, and snow as well as sun exposure and poor ventilation are all factors that can shorten the lifespan of a roof. At the end of the day, the best way to decide between roofing repair and replacement is to work closely with a qualified roofer who can offer their expertise.